Today we visited Zaatari Refugee Camp along the Jordanian-Syrian border. 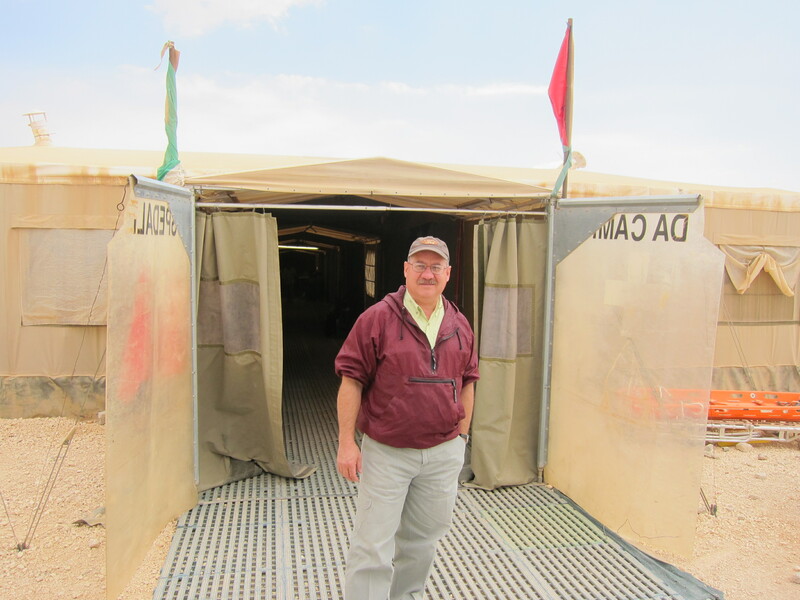 Our partners at Global Hope Network secured permission for us to visit this camp that has become the fourth largest “city” in Jordan. More than 150,000 Syrians fleeing the civil conflict that is tearing their country apart currently reside at Zaatari. Yesterday, exactly 4,121 people arrived at the camp. That number represents the largest influx of refugees in a single day since the start of the camp. 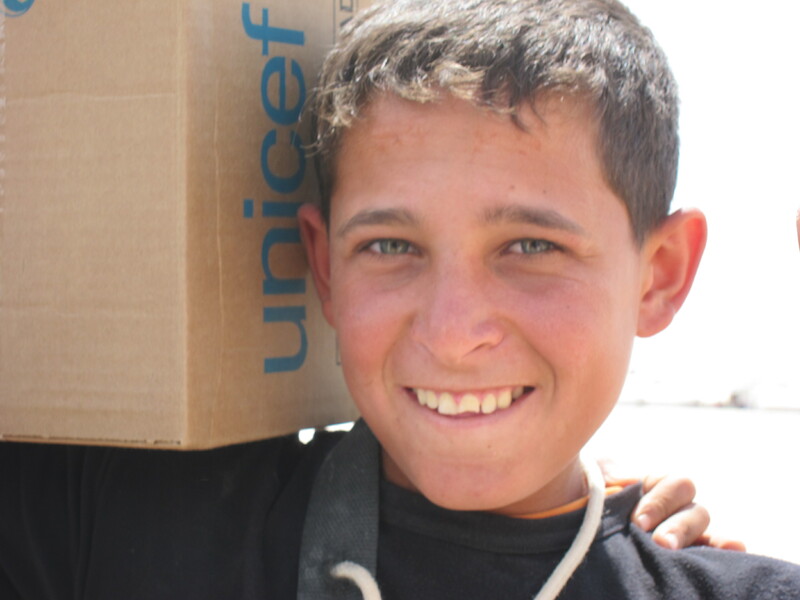 Those responsible for caring for children at Zaatari face a huge challenge. There are an estimated 60,000 children in the camp, 25% of which are school-age. There are, however, only two schools. That means a lot of kids will not be able to attend classes and will get behind on their education. Workers also face the difficult challenge of identifying the children who arrive at Zaatari without their parents or family members. They must also care for the 15,000 special needs individuals in the camp, many of whom are children. We had the privilege of meeting with the interim international mayor of the camp, a German man who has only been at Zaatari a few weeks. Although he has served in similar roles in tough places like Mogadishu, he told us that Zaatari has been his toughest assignment. Just a few days prior he was attacked by angry kids wielding tent poles and rocks. It takes a lot to rattle a guy who has survived attacks by two suicide bombers, but Zaatari has him very concerned. Nevertheless, he has a positive outlook and is determined to bring order and better security to this boiling pot of restless people. We also visited one of the hospitals in the camp. The medical personnel serving in these canvas-clad hospitals address a gamut of medical issues in less than ideal conditions. But, they are doing a great job. They help to deliver up to 20 babies per day, do all kinds of surgical procedures, dispense medications, and so much more. One Syrian woman told me how grateful she was for the medial team. Their kindness has given her hope that she can survive the undetermined number of days she must live at Zaatari. 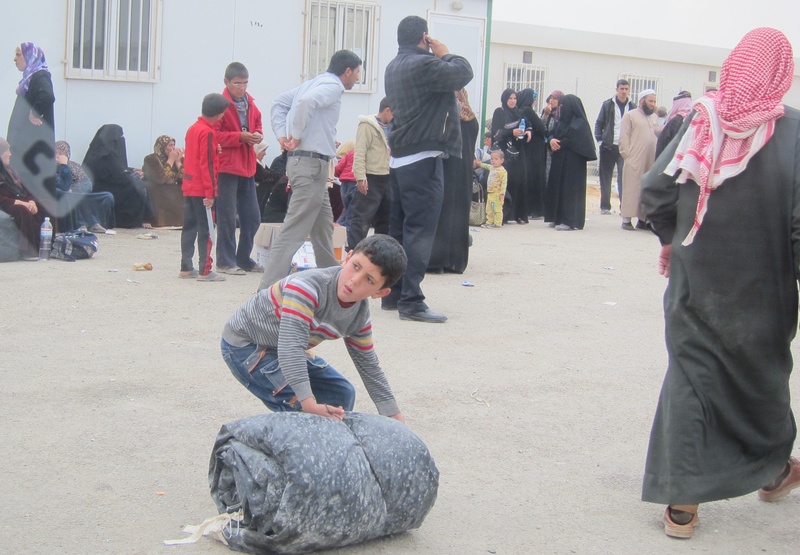 Many of the refugees living at Zaatari are restless. Crime and desperation have found a home among the vulnerable who live in this makeshift community of tents and trailers. The local mafia already has its hands in the commerce of the camp and also fuels the buying and selling of young girls. It never takes long for the strong to exert their power over the weak. All of this presents a special challenge to the security forces. 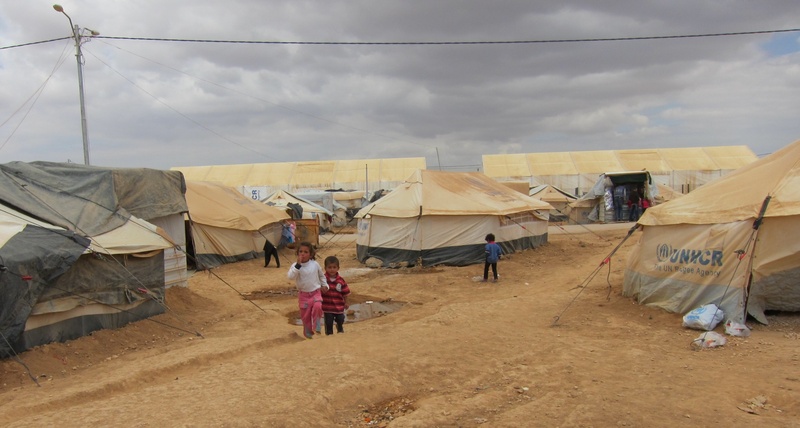 It’s sad that many of the people who lived in fear in Syria must now live in fear at Zaatari. 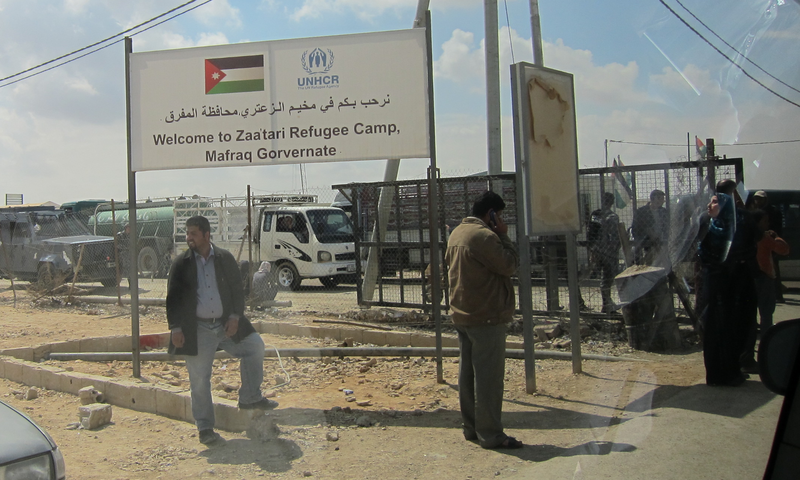 Zaatari exists because of the kindness of the Jordanian government and the willingness of hundreds of workers and volunteers to serve Syria’s displaced people. We need to keep all those who lead and who live at Zaatari in our prayers. And we need to pray for Syria. There are no easy solutions, even if President Bashar al-Assad is ultimately removed from power. The damage has been done. An estimated 70,000 people have died in Syria and hundreds of thousands more have fled their homes in order to protect their families. Let’s pray that the day will soon come when “man who is of the earth may strike terror no more” (Ps. 10:18) so that Syria’s displaced people can return to their homeland to begin the long process of rebuilding their lives. Hearbreaking! That is definitely a ‘God sized’ challenge….that can only be met in and through His power! Prayers going up to the Father on everyone’s behalf….refugees AND those ministering to them! Amen, Pam. It certainly is a God-sized task. Thank you for praying for the people of Syria. At one point, more than 2 million Cambodian lived in refugee camps. I started my ministry among Cambodians by teaching English to little Cambodian kids in a refugee camp. Thank you for caring. These lives will be forever changed by those who love them there. So thankful for the many volunteers who are serving these refugees. Your experience in Cambodia illustrates why it’s important for us to have a presence in places like Zaatari. Thanks for your good work in Cambodia and beyond, Steve. Hope to see you soon in Cambodia. My heart goes out to all those kids – they didn’t ask for this any more than the adults who are there. Are there any plans for the short-term or long-term to get adults in there to care for the children and special needs folks? Yes, it is a tough situation. We spoke with the top UNICEF guy on the scene and he told us that the needs have far surpassed what they can handle with the available resources. The special needs kids that I saw were in the care of their families. As for the kids who are not in school because there is no room for them, they were roaming the camp and many of them were already employed by the “mafia” to sell all kinds of stuff. These kids seemed the most vulnerable. Yes, absolutely. Feel free to use any of my photos to tell the story of the Syrian refugee crisis.